As much as cultures can vary across regions, payroll and tax regulations can differ greatly from country to country. Beyond the obvious differences of salary standards and national holidays, some benefits or programs that are standard across all levels of the workforce in one country may be unheard of in the next. For payroll teams within organizations considering an expansion into a new country or region, understanding the subtle distinctions in business and cultural norms across cultures can be just as important as knowing the tax code. And grasping the specific requirements and understanding local nuances and expectations can be a real challenge—sometimes with costly consequences. 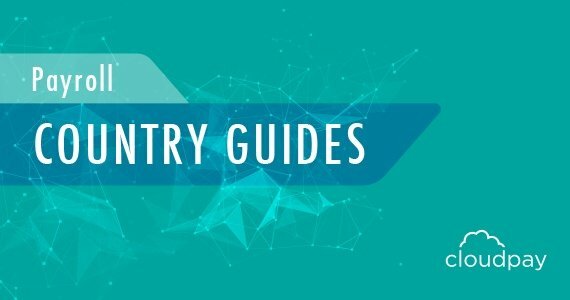 To help global payroll and HR professionals gain insight into the key aspects of payroll around the world, CloudPay has put together payroll guides for more than 80 countries and made them available on our website and at payrollguides.com. These country-specific payroll guides outline the basics of doing business in each location, including tax regulations, employment requirements, holidays, and much more. Each guide focuses on the facts you need to know to effectively consider payroll in the specific country, while highlighting some of the interesting and perhaps little-known aspects of each location. Do you know which countries include Saturday in the standard work week? Are you up to date on the minimum wage requirements across your region? Do you know which social contributions are mandatory in your payroll locations? Whether you want to explore the payroll needs of a potential new location, compare the various payroll requirements across countries within the same region, or simply see how different payroll, compensation, and benefits can be around the world, the Payroll Country Guides are there for your reference. And if you’d like to know how a unified, cloud-based global solution can help your organization better manage the varying requirements and expectations of multicountry payroll, you can begin with a quick online assessment of your current payroll.